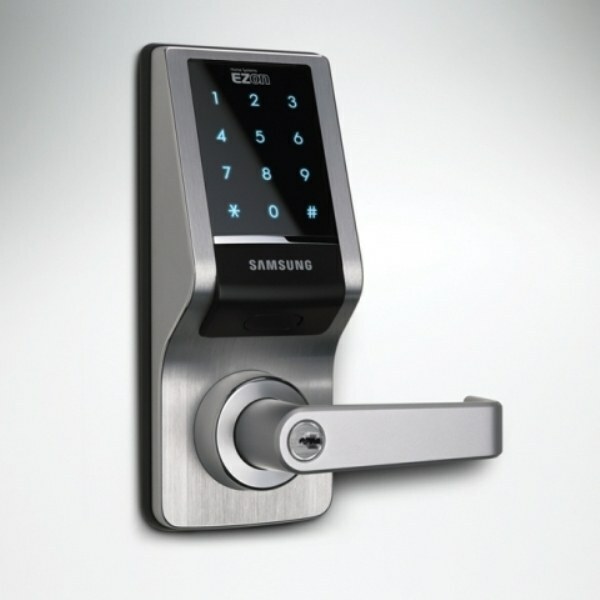 Code lock is a locking device, unlocking is not the key, a special combination of digits. Code can be exhibited on the cylinder or gain from the keyboard. No doubt this device is more reliable than usual lock, open the key, but sometimes the increased reliability of the code lock can play with you a malicious joke. What if you forgot the opening combination? This trouble often happens with older people, and not only with them. If you mechanical push-button lock, carefully inspect. Often prolonged use of the same code certain buttons on the lock looks worn or, on the contrary, darkened. Usually it's three buttons, in some cases, two or four. Examine the lock surface directly around the buttons. The paint on the panel in places where there is frequent depression, may be damaged, which will also indicate the opening number combination. If outwardly all the buttons look the same, and their surface does not differ from one another, use the technique used in forensics when searching for fingerprint – consider the surface of the buttons at an angle with obliquely incident light. If the opening combination had not changed, this way you will be able to identify the buttons different color from the other. The reception, however, are useful only in daytime and in Sunny weather. In some cases, in order to know the lock code, it is enough to consider carefully the surface of the wall around the door to the staircase. Often older people who tend to bad memory, make a barely noticeable pencil markings at the level of their eyes, recording the code in the entry doors, to make your life easier. Another method assumes that you have a good tactile sensitivity. Click on the buttons code lock, trying to figure out which ones are pressed in an easier way. Usually those who often work, have over stretched the spring, so pushing them is relatively easier. When using any of the methods described above, keep in mind that, as a rule, in the opening combinations are extremely rare, numbers are located only in one row and numbers, far removed from each other. Usually a combination is selected so as to be ergonomic, that is comfortable for typing with one hand.